Award-winning Australian boat manufacturer Bar Crusher will launch three new models at this week’s Melbourne Boat Show. The company’s Gen2™ hull will make its official boat show debut in the form of the 615C, the 535XS steps up with the addition of Quickflow water ballast technology and the new 730HT is destined to draw a big crowd. Bar Crusher director Peter Cleland said he was looking forward to speaking with customers during the show and gaining their feedback on the new models. “Listening to our customers drives our research and development and the boat show season is a celebration of the year’s new releases,” Mr Cleland said. “The 535 hull, for example, was originally launched as part of our Wave Crusher Series, which featured all of Bar Crusher’s innovations except for Quickflow, which has now been incorporated into this versatile and high-performance hull and is available in XS, SC and CR versions. 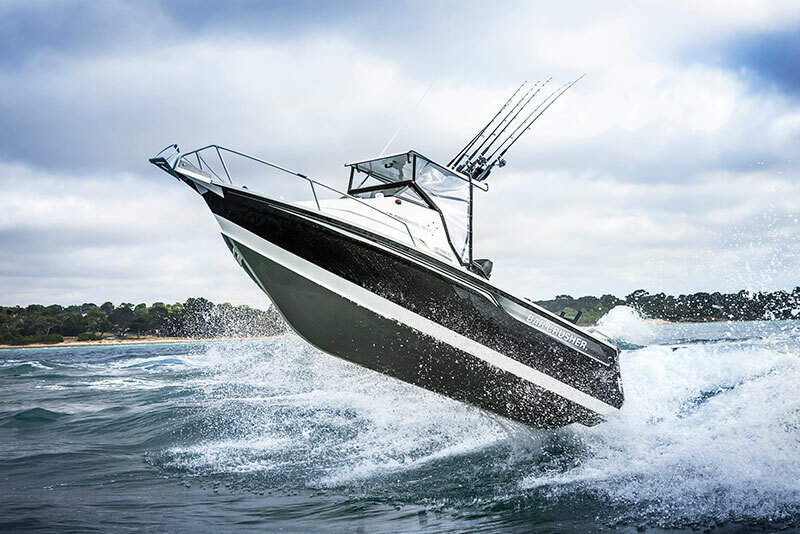 “The new 730HT slots in very nicely between the 680HT and 780HT models… while the hard top is hugely popular in the larger size range, the 730 hull will also be available as a cuddy version for those who request it. Bar Crusher will be located at stand D69. The Melbourne Boat Show runs from 14 to 17 June.